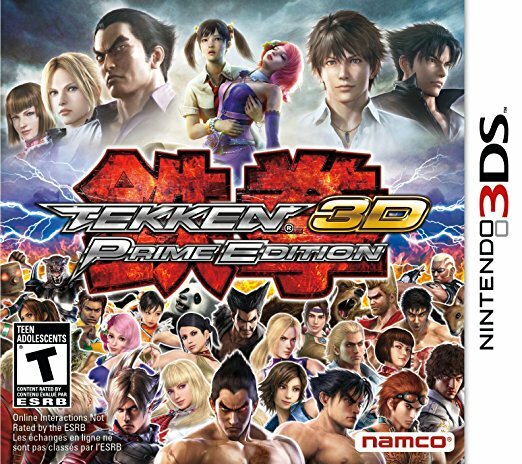 Tekken 3D Prime Edition marks the second time a Tekken game has ever appeared on an Nintendo console, the first being the 2001 GBA game Tekken Advance. The game features a massive roster of 40 playable characters, including all characters seen in Tekken 6, as well as a unique stage for each character. Also included in the package is the complete theatrical film 'Tekken: Blood Vengeance', which is viewable entirely in 3D on your 3DS system. Classic TEKKEN fighter with new modes for 3DS. Utilizes all of the 3DS system features. ALSO INCLUDES TEKKEN Blood Vengeance movie in 3D! First time a 3D movie has been included on a handheld. Runs in full 3D at 60 fps!